The Historic Jordan Springs Estate’s earliest recorded history begins in 1549, when discovered by the Catawaba Indians for the two mineral springs, the White Sulphur Spring and the Calibeate Spring, which flow from the natural grotto at the base of a nearby cliff-like hill called Devil’s Backbone, one of the geological wonders in the country. The springs drew Native Americans, settlers, and laters the elite, seeking their beneficial health properties. 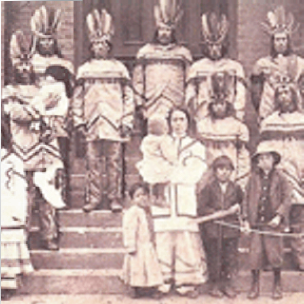 The Native American used the area s a meeting place and for ceremonial gatherings annually for nearly two centuries, before the springs were discovered by European settlers.